It turns out no one is immune to allergies, not even our furry friends. 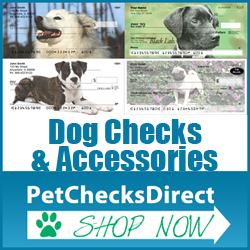 Hopefully, your dog doesn’t have a serious problem. Some allergy symptoms are mild, like increased scratching, runny eyes, sneezing or snoring. It really is just like with people! However, some allergies may be more severe and take some extra TLC to handle. To get started, you need to know what, exactly, you’re dealing with. Your vet should be able to tell you if your dog is experiencing allergies or if something else is wrong. The vet may make a diagnosis of “atopic dermatitis.” That’s not as scary as it sounds, it’s just the scientific name for environmental allergies. Chronic scratching is the most common sign of it. 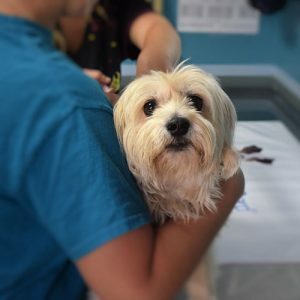 So if you find yourself thinking that your dog might have fleas but finding no sign of them anywhere, you should talk to your vet about allergies. Finding out what your dog is allergic to is the first step. 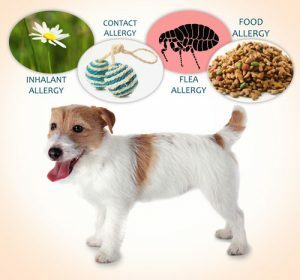 Many allergens that dogs react to are the same things that bother people. Dust, hay, and pollen are all common irritants. However, unlike people, dogs do not grow out of their allergies. If they have them, they will likely have them for life. 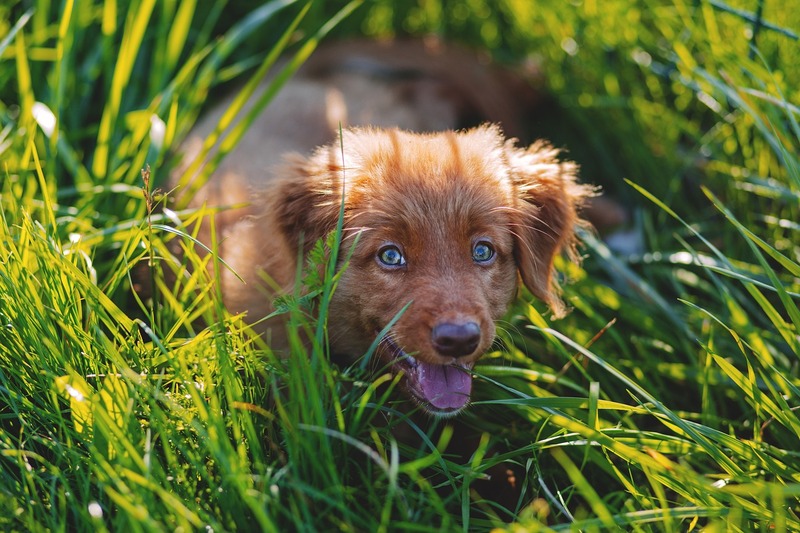 Some breeds seem to be more susceptible to allergens than others, although there isn’t any scientific consensus on the topic. Golden Retrievers and German Shepherds may be more likely to suffer from allergies. This shouldn’t be the determining factor in what kind of dog you get, but it is something to keep in mind. 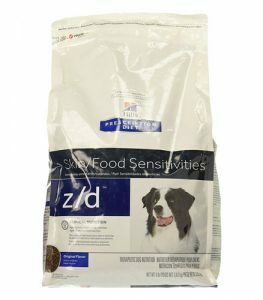 Food is another thing that can trigger allergic responses in dogs. 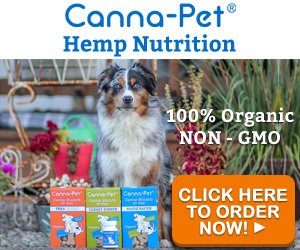 Ten percent of all dog allergies are food allergies, but you don’t have to buy the most expensive option to feed them healthy food. You can start by just reading the ingredient list. The way ingredients are listed is important. The first ingredient is the prominent ingredient by percentage, and the last is the smallest. You want to find food with meat as the first ingredient as opposed to corn or wheat. There are some reasonably priced dog foods that follow that simple rule! Using the right food could eliminate the problem entirely if your dog is allergic to something they’re eating. If not, then it’s unlikely to help much with the allergies, but it will make your dog healthier overall. That, on its own, gives their immune system a better shot at normalizing. The treatments you use will depend on the recommendations of your vet and what you’re comfortable with. If your dog only has occasional sneezing fits, you may choose not to use any medication. However, if your animal is biting and scratching until they bleed, you’ll need to intervene. In most cases, a topical cream or medicated shampoo will do the job. If your pet has a rarer allergy, you may need a more unique solution. If your dog is allergic to grass, for example, you might just be able to put socks on them before taking them out. It’s not a conventional solution, but if it works, don’t knock it! 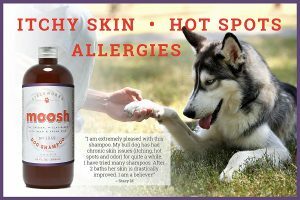 There are a variety of other canine allergy treatment options available. You can go with immunotherapy to try to permanently reduce your pet’s reactions, anti-inflammatory medications, antibiotics or antifungals. The bottom line here is, if you think your dog has a problem, you need to take them to the vet. Allergies are not often life-threatening, but they can make your pet miserable. And, if left unchecked, they can lead to more serious problems like open wounds and ear infections. It’s better to get ahead of the problem than to play catch-up.